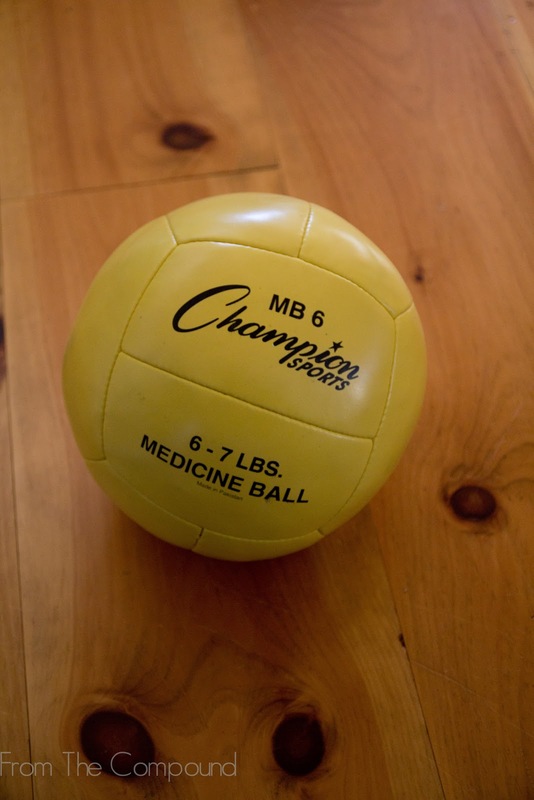 A couple of years ago, when I was a person who worked out regularly, I bought this 7 pound medicine ball for $2.99. I used it from time to time at first, but like all of my exercise equipment it has been collecting dust for too long. Last weekend Sophia and I played a fun game with the retired medicine ball. We each sit on big exercise balls across from one another and kick/push the heavy medicine back and forth with our feet. To make it more challenging for myself I try not to get off the ball even when she kicks it far from me. I stretch, roll and extend as far as I can to reach the ball. I definitely felt the "workout" in my legs and core after playing for a little bit! Little by little, I'm going to get back in shape...this can't hurt, right?